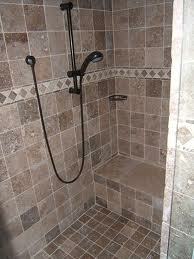 Did you know: The modern domestic shower was invented in the early 1800s( via wikipedia). For hundreds of years before that, in most of the world, people went their entire lives without ever taking a shower (and even today some of your coworkers probably still don’t shower enough). Today, I am not really into writing on something of my own so I figured I would take the topic from email. I wonder too if people who don’t shower that much have another reason why they don’t shower? Do they have an extreme case of OCD that they can’t shower when their shower is very dirty but the OCD extends to cleaning as well and they take so long cleaning that they don’t have time to do it before they have to leave for work or something else so they go unshowered? Who knows. I can’t tell anyone how often to shower and I think it is a personal decision that should be more than once a week, IMHO. Have a great night, I’m off to take a shower. LOL!